Sara lives in Tucson, AZ with her family. Sara received her first session with Mary when she was fourteen in 1973. She has studied with Mary since 1983. Sara has been a Jin Shin Jyutsu instructor since 1992 teaching the "Living the Art" 3-day workshops, and Self-Help. Sara also teaches the Basic Five Day seminar, Mentoring, Special Topics, and Now Know Myself. Sara has a Bachelor of Science in Business and Marketing and worked in Business for several years. 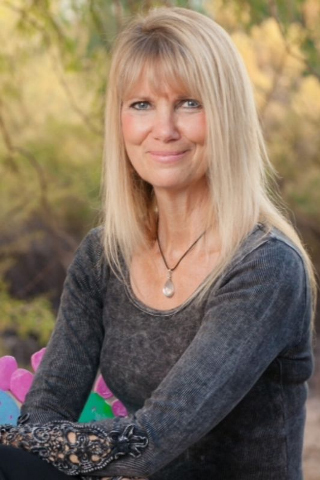 After a traumatic car accident in the early 1980's she had a life changing experience during her sessions with Mary Burmeister. Sara has studied psychology, numerology, dance and loves the mysteries of life and nature. Sara teaches in an experiential and elemental way as to embody the journey of learning.